Back in the 18th and 19th centuries a ‘mudlark’ was a poor person who combed the Thames foreshore looking for items that could be sold. Some depended on the Thames for their living. Nowadays, twice a day, the river continues to leave behind its treasures and people still scour the shores, picking up pieces of history discarded by Old Father Thames. Whether you are a visitor to London or live here already, a day out on the Thames foreshore is something you'll always remember. It's a unique experience - and all because the River Thames is a tidal river. Much of the Thames foreshore is open to the public and easily accessible. You can visit the foreshore alone - as long as you know the times of the tides. The Port of London Authority will be able to help here. Please remember that the tide comes in very quickly. The advantages of going with a supervised group are many - the comradeship, the thrill of sharing your finds no matter how humble, working with experts who know their stuff and will share their knowledge and, not least, the fact that they keep an eye out for when the tide turns so you don’t get stranded! It's very easy to get mesmerised by the foreshore - and the time goes very quickly. It’s good fun going with a group like the Thames Discovery Programme. There are archaeological sites at many points along the Thames foreshore where the Thames Discovery Programme takes groups to help with their excavations. On their website they list twenty sites in all. Amongst them are Alderman Stairs, Greenwich, Chelsea, Tower of London and Wapping. Their visits are led by experienced archaeologists, often from the Museum of London. Once down on the foreshore your guide will go over the health and safety aspects of your visit and then they will explain much of the history of that part of the Thames foreshore. 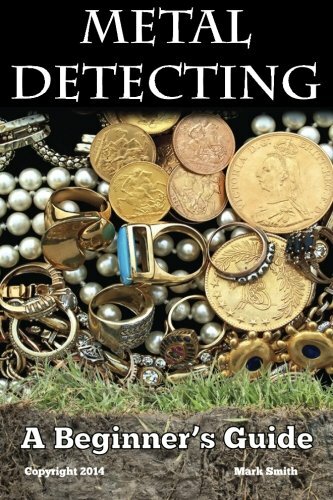 And of course, they will identify any ‘treasures’ you might find. This is one of the great advantage of going with a group as you have your own expert on hand. 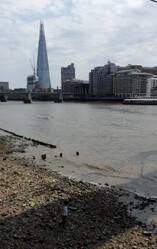 I visited the Thames foreshore with The London Cultureseekers where our guide was an archaologist from the Museum of London. It was a freezing cold day - but we still had a great time! I've also been in the summer time when the Thames is a very lively place. You can hear the sound of music from the pleasure boats sailing past, the hum of crowds as they pass over the bridge nearby and just the general 'pulse' of the city. Yet you feel as if you are in another timeless, dream-like dimension. The kinds of things you may find could range from humble mediaeval nails, pieces of Roman, mediaeval or Victorian pottery, animal bones, ships rivets, pipe bowls and stems (and if you are very lucky, a whole pipe) and old glass bottles. Sometimes metal artefacts such as coins, medals, rings or buttons might have worked their way to the surface. You may even find little pots which were once a complete mystery even to experienced archaeologists who thought they might be Roman. They turned out to be modern Hindu religious vessels used these days in water-borne funeral ceremonies on the Thames. Perhaps one day they will be as eagerly uncovered as Roman ware is today. 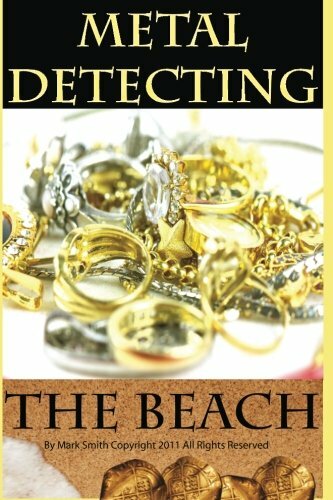 At this stage in your ‘mudlarking’ you will only be allowed to search with your eyes, picking up objects that are already on the surface - no digging allowed. For that you need a special license. But there’s plenty of artefacts, so don’t worry! With organised groups like The Thames Discovery Programme and Thames and Field Metal Detecting Society you can get involved in major projects which will require digging with trowels or spades, or using metal detectors to find buried objects. Normally these activities are denied members of the public. Even scraping with a trowel is discouraged. This is to protect artefacts that might be buried but also to discourage people from turning the Thames foreshore into a dangerous area. Digging holes and leaving them so that they become waterlogged and invisible, or become dangerous mud pits, is definitely not a good idea. An organised group will have the licenses from the Port of London Authority allowing them to dig on the foreshore in certain circumstances, and as part of that group you will also be allowed to get more ‘hands on’. The Thames Foreshore is mainly stones and in some places rocks, whilst other areas along the Thames are quite muddy - so wellington boots or walking boots are fine. Some parts are a bit slippery and a steady foot will be needed. Gloves are a good idea if the weather is cold, along with a warm anorak or windproof/waterproof jacket - because the wind can whip along the Thames like a fury and at times like that, it's freezing! The Thames Discovery group supplies plastic gloves for picking up artefacts and you might want to take a waterproof bag to hold your discoveries. Apart from that, the rest is all down to the weather. If conditions are bad, i.e. rain or snow, the group will be cancelled and you will be contacted by the organisers. It's lovely down there when the sun shines! It’s fine to keep anything you find unless it looks very valuable. For instance is it silver, gold or bronze or extremely old? In such cases your guide will be able to tell you more about it and, if necessary, these finds should be reported to the Museum of London. As an example, In 2009 Tony Pilson, a founder member of The Society of Thames Mudlarks, had accumulated a collection of over two and a half thousand buttons which he had collected from the Thames foreshore. They dated from the 14th to the late 19th century and he donated them all to the Museum of London. Pretty pieces of pink and blue pottery are very common treasures to keep, as are the stems of old clay pipes. Pipe bowls are often found and their shape tells a lot about the time they were manufactured. Obviously a whole pipe is rarer since these objects are so delicate. Your finds will look beautiful when they are on display at home. They will seem to have recovered their dignity. Some pieces will be small enough to put in old printer's type cases which people now use on the wall to display keepsakes. Do Something Different - Explore the Thames Foreshore! Exploring the Thames foreshore is a wonderful experience, even on a cold winter's day. The Thames is a beautiful environment, very clean nowadays, with majestic bridges and stunning architecture visible from every angle. As you survey your surroundings and then continue your stroll along this fluid archaeological site you will be a real part of this great city’s history, both past and present. If you want to take things further.. The Thames is England's second longest river and runs through heavily populated regions, so artifacts come from many sources upstream. Interesting activity. Is there a source of artifacts upstream, or do these all come from the London area? Yes and as Kathleen states, anything that you see is Ok but things you dig for even pickng up under a stone you need a license. I am very interested in this next time I am "down the smoke "
Finds of treasure are governed by act of parliament, which demands that they be reported. Single coins are not usually treasure, but groups of coins, especially those over three hundred years old are. You are, however, unlikely to find treasure on the foreshore, as metallic stuff does not float. This is fabulous ty for posting. I think for your own safety and insurance purposes guided walks are probably the best way to go about it. You have some amazing finds. Well done you! I am cross with myself now for never exploring this fascinating part of London when I lived there. So many references to it in Dickens' novels and I haunt the City and Fleet Street where his characters lived. Maybe next summer I may be able to join one of the walks,but I'm not too sure about slippery walks! Glad you are enjoying it anyway. That's very kind of you Frank. Unfortunately I am no longer on the internet at home any more so I just go into my local library to check my e-mails - so not able to write anything at present. Thanks for your lovely message. I am glad to read a comment from you, Kathleen, as you have not seemed to be active on Wizzley recently and this led me to wonder how you were and whether you were alright. I've even seen people sunbathing on the "beaches" in the summer! Fab article Kathleen. Many bridges have spanned the River Thames, but the most fascinating of all was the medieval Old London Bridge with its houses, shops and chapel.